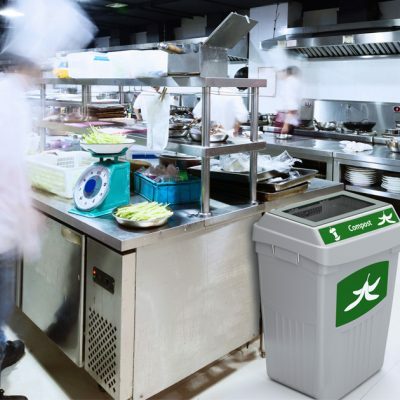 Being assigned to purchase recycling bins for your facility can seem like a daunting task. There are so many different types and sizes of recycling bins available it might seem impossible to narrow it down to what your facility needs to make a successful recycling program. But don’t worry, we’ve got you covered. Before buying your recycling bins, it’s crucial to know where you’ll be placing the bins throughout your facility. Look at where waste is generated in your facility and what type of waste is being collected. A school, for example, will generate more recyclable and compostable waste in the cafeteria than in the classrooms. In office environments, recyclable paper is most common near workstations, and organic waste is generated in meeting rooms and break areas. When you have a good idea of the waste flow in your facility it will help you determine the optimal placement of bins. Your front-of-house (public areas for customers and reception areas) and back-of-house (kitchens, meeting rooms and external collection areas) will require different types of recycling solutions. It’s important to note that both areas must be supporting each other by collecting the same streams. Different areas may also require different recycling bin designs. For example, schools may need waste and recycling bins to be placed up against a wall, whereas a convention center may need bins that can be accessed from all points of traffic flow. Select a capacity depending on the volume of waste you generate. Also, determine how many bins you need for both indoor and outdoor placement. Also take into consideration your foot traffic. 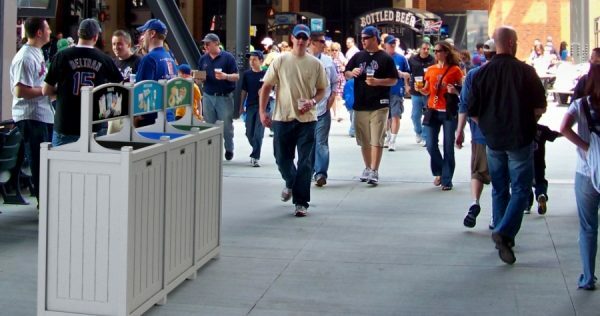 For example, in stadiums and arenas where traffic flow is high, a recycling bin that is accessible from both sides is the best option. Look at your facility’s waste audit results to determine the capacity of containers you’ll need. Talk to your waste hauler about which streams you’re able to collect as this will vary by city and region. For example, you’ll need to know whether you collect your recyclables together (commingled or single stream) or whether you need to separate out cans and bottles from paper. 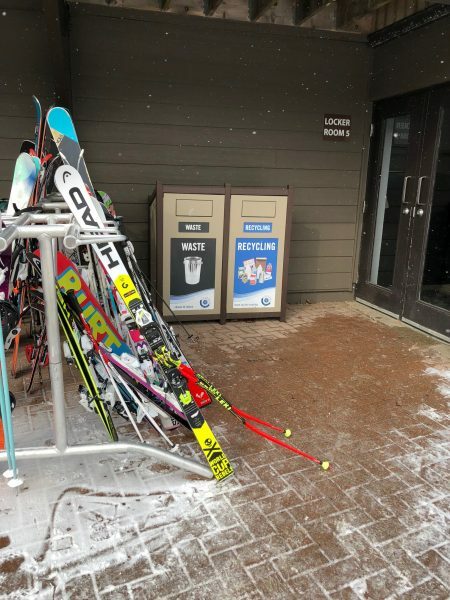 When ordering outdoor recycling bins, climate is a very important factor. Some of the southern United States experience tornado like weather, whereas in Canada we are subjected to harsh winters. Bin accessories, such as anchor kits, are an ideal solution to ensure your bins remain safe and grounded. You may also need to consider whether customization will be required due to a specialized collection, or whether you need to pest-proof them for parks and open spaces. You don’t ever want to compromise function for style – which is why CleanRiver has designed its outdoor recycling bins collection to be durable, versatile and attractive. Designed with a deep understanding of climate, behavior and even wildlife considerations, CleanRiver’s outdoor recycling containers ensure seamless recycling from the outside in. Choose restrictive, color-coded openings, they are a key factor to an effective recycling program. 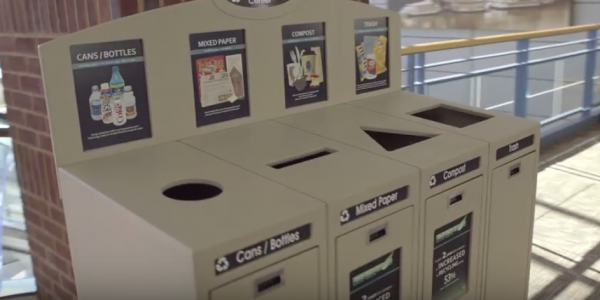 The Xcel Energy Center maintains consistent colors for the recycling bin openings and recycling posters throughout their facility. This helped them recycle 66% of their waste. Xcel Eneregy Center recycling and waste bins with restrictive openings. Restrictive openings can be effective in helping people make the right decision when faced with which stream to deposit their waste. The problem with restrictive openings is that they can sometimes cause collection issues. 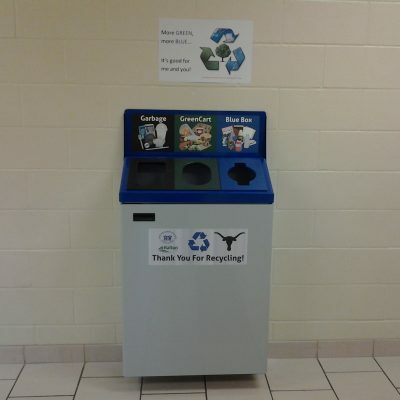 For example, one CleanRiver client introduced recyclable clamshells to their campus cafeteria. The clamshells however were too large to fit into the saturn-shaped opening of the recycling bins. So unfortunately people had no choice but to toss them into the landfill trash. Luckily this campus was able to retrofit their CleanRiver recycling bins by simply replacing the opening plates. Identify what kind of trash is being generated on campus so you can ensure the openings accommodate the recyclable items. Have bins that have the ability to be retrofitted when your program changes. 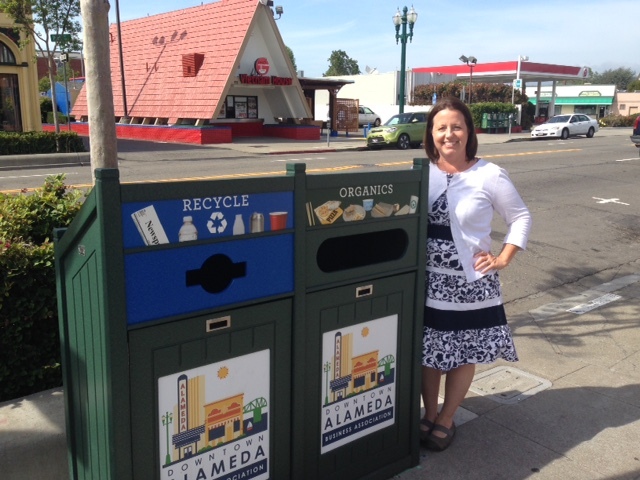 Graphics that stand out and clearly communicate what needs to go into that bin are critical for success. If your recycling program has stream signage that’s unclear or confusing, you’re most likely increasing your contamination rates. Clear, concise graphics build recycling program awareness, and when people recycle correctly, stream contamination is vastly reduced. 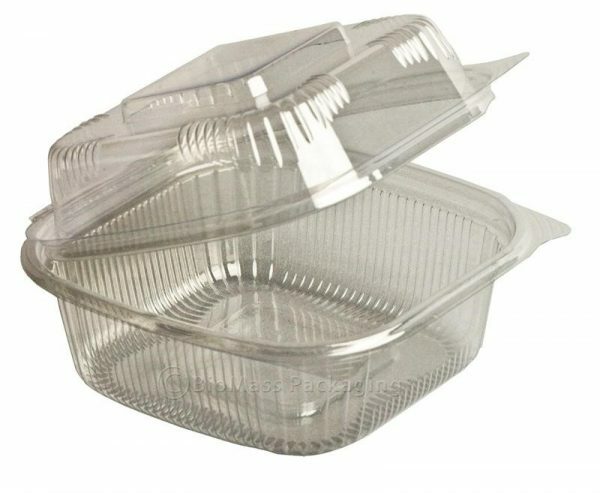 Graphics can be customized with images of actual waste such as branded food containers. They can also include sustainability messages and be swapped out with new graphics to adapt to changing needs. 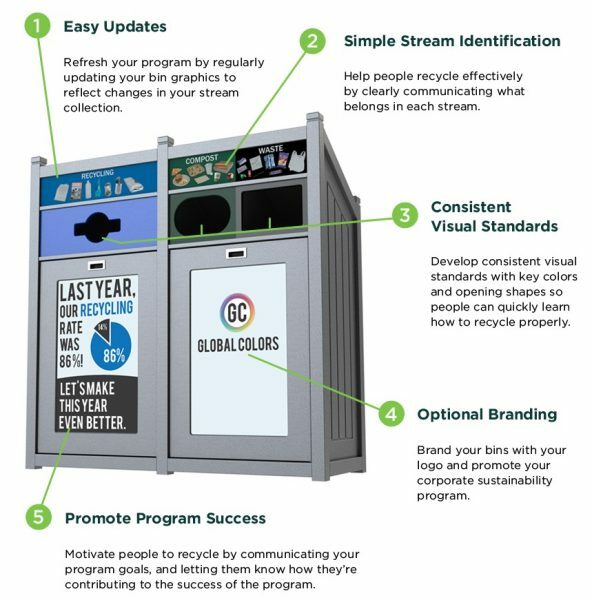 Check out our guide on the Best Practices in Recycling Graphics for more help with your recycling bin graphics. CleanRiver Recycling provides a variety of innovative, flexible and customizable recycling solutions. 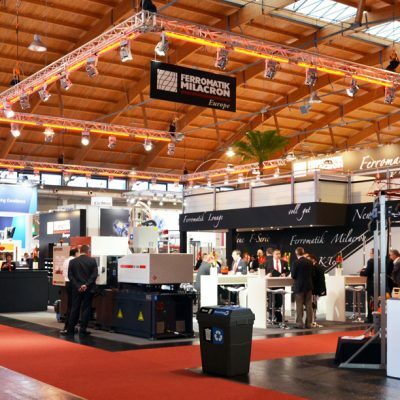 To determine the right solution to meet your needs, use the CleanRiver product selector. If you have additional questions that weren’t answered in this blog post please call us at 1-888-646-4246 or email solutions@cleanriver.com.